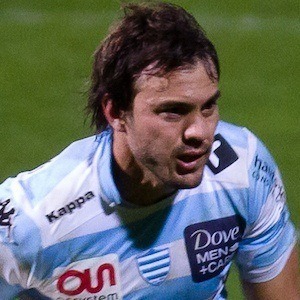 Argentine ruby fly-half known for his play with the French teams Stade Francais and Racing Metro. He's also played in South Africa with the Natal Sharks. He played with Deportiva Francesa in Argentine during his youth career. He made his debut with Argentina's national rugby team in 2003 and has since made more than 50 appearances with the team. He married Maria Emilia Brochard in 2008. He and Agustín Pichot both represented Argentina on the international stage.